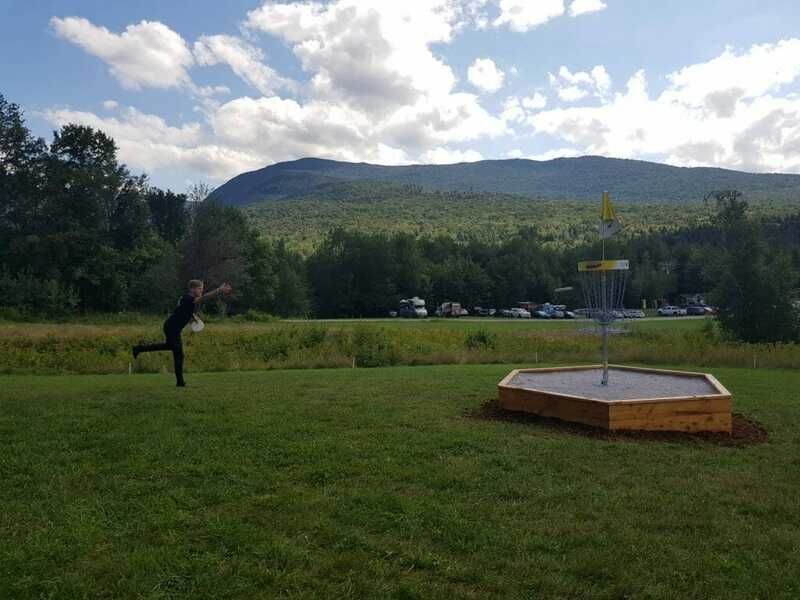 Kristin Tattar and Silver Lätt just got into Vermont—home state of this year’s PDGA Professional Disc Golf World Championships—on Wednesday. Tattar said there “was some trouble” getting their rental car after touching down, which led to an unwanted few hours of just hanging out at the airport. On the bright side, the delay forced them to stay up late, and—voila!—no jet lag. The two are the highest-rated Estonian players of their respective genders, and they happen to also be romantic partners. For the next five weeks—from now until the United States Disc Golf Championship October 3-6—they’ll be traversing the States, looking to both enjoy themselves and see what they can do about making waves at the biggest events in disc golf. Ultiworld Disc Golf will be checking in with them during their adventures to see how they’re doing on both fronts. Both Tattar and Lätt have played big U.S. tournaments before. 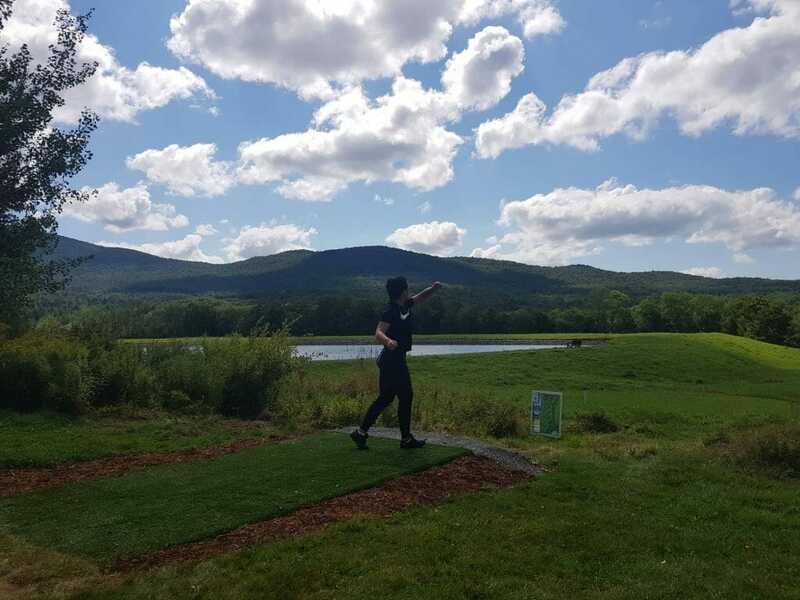 Lätt attended the last two USDGCs and Tattar finished seventh in last year’s United States Women’s Disc Golf Championship (six strokes back of Valarie Jenkins and four ahead of Rebecca Cox). However, the two have never played Pro Worlds, or spent such a long stint stateside. So why was 2018 the year they decided to mini-tour? “We wanted to play Worlds. Everybody told us this is the most beautiful place you’ll ever go to, and they were right,” said Kristin Tattar, talking about the courses at the Smugglers’ Notch Resort in Jeffersonville, Vermont. Along with the allure of Worlds, Lätt didn’t want to miss taking part in his third USDGC in a row. With a carpe diem attitude, the two decided that it was a good time to take the plunge and fill the time between the two events with travel and tournaments. Another factor in their decision was Tattar’s exceptional play this year. She has more than an outside shot at upsetting some of the U.S. tour stalwarts at the sport’s premier events. For those who haven’t followed the European scene this year, Tattar has been a fixture on podiums at almost every large event on the continent, and she hasn’t finished lower than fourth in any tournament this season. This includes tying well-known U.S. players Paige Pierce and Catrina Allen for second at the Skellefteå Open in Sweden. Lätt also alluded to the fact that he’s hoping that both he and Tattar will get rating boosts from their time in the States. As Eagle McMahon and Will Schusterick both noted when they played this year’s Pärnu Open in Estonia, round ratings in the country tend to be pretty low. Lätt attributed this to Estonia’s relative late start in the sport and the lack of highly-rated players in the country to drive ratings higher. Lätt’s 992 rating is the highest in Estonia. When I asked Tattar about her goals, Lätt got there first. “Win every tournament?” he quipped. Brewster Ridge or Fox Run Meadows? The next topic up for discussion was which of two courses being used for the 2018 Worlds the couple preferred. Lätt fancies the 7,760 feet (2,365 meters) of wooded fairways on the Brewster Ridge course. Tattar thought she would feel the same after watching footage of the courses, but found that looks were deceiving. Though it’s hard to match the beauty of the two Vermont courses, both Lätt and Tattar think that the style of play each demand is something Estonian courses have prepared them for. 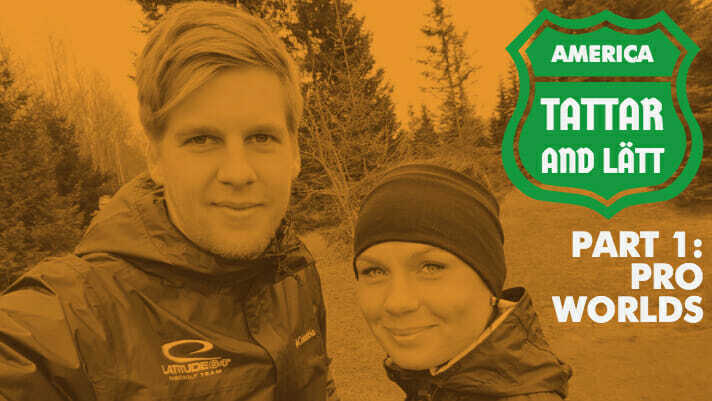 Of course being so far from home, Lätt and Tattar are planning more than just disc golf-based tourism. At the end of our conversation, they filled me in on what they’ve done and are looking forward to doing off the courses. 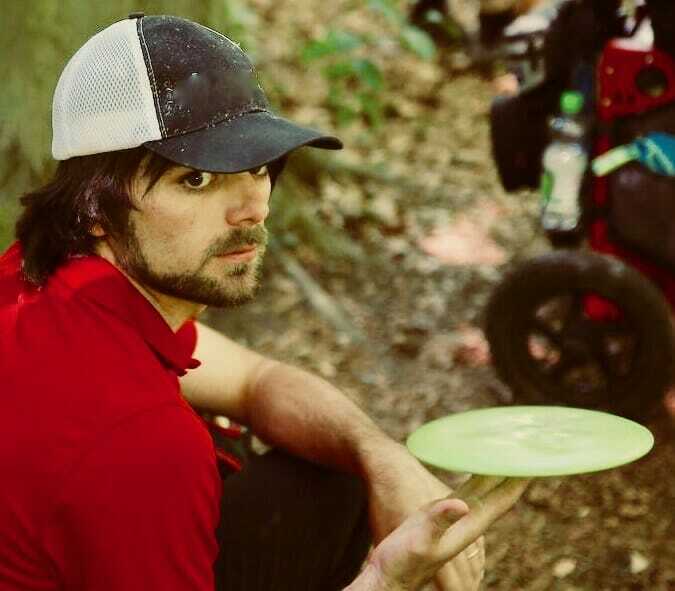 He concluded his comments with a statement that couldn’t be a more fitting end to this first installment of our series chronicling the U.S. adventures of this European disc golf power couple. “Hopefully interesting things are gonna happen,” Lätt said. Comments on "Kristin Tattar And Silver Lätt Do America, Part 1"